Showing results by author "Joseph N. Gagliano"
In 1994, Joseph N. Gagliano calmly sat back, put his hands behind his head and smiled as the NCAA clocked ticked down the remaining last seconds of the game. It was the third game in a row Joe had bet on where the point spread had to land on a specific number. With millions at stake, was he nervous? Not at all. As the buzzer sounded on the 3rd game, his duffle bags were filled with millions in cash. How? Joe had fixed the outcome of the games. 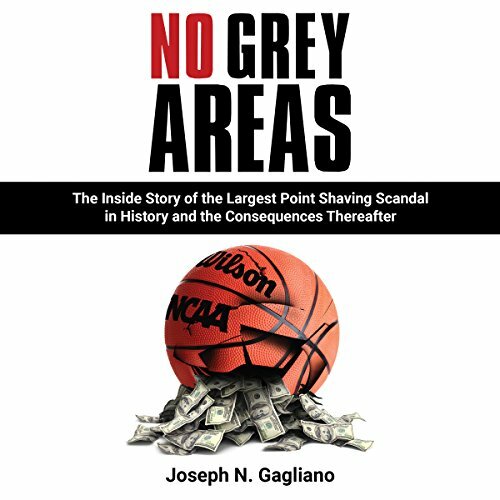 No Grey Areas tells the incredible, true story of the man who orchestrated the largest sports point shaving betting scam in sport's history.